This marketing term might make someone of a delicate state cringe. It’s known as reaching out and it’s an important thing all businesses must do in a meaningful way, whether it’s for new opportunities and connections, or just general communications with an existing audience. In our experience, a proper old fashioned hand written note is the best way to get in touch and a sure way to get noticed without being pushy. 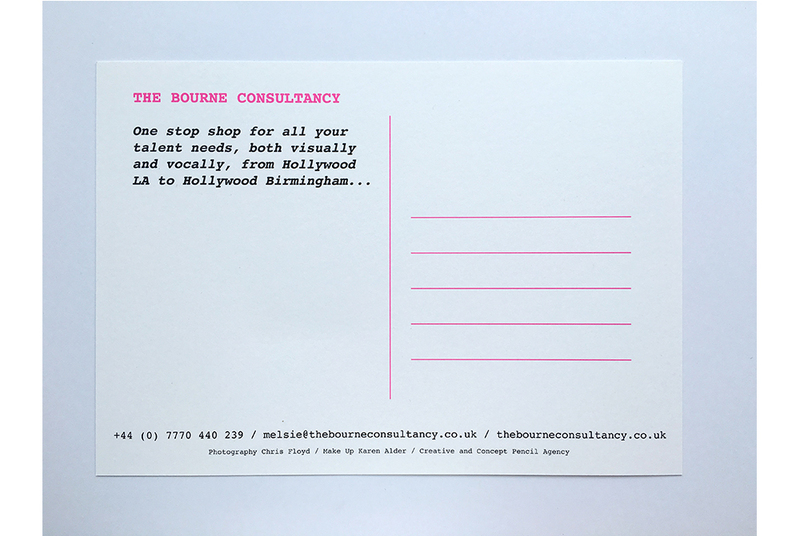 Our tactical marketing concept for The Bourne Consultancy was just this, with some wit and glamour thrown in. Format: A5 landscape postcard inspired by 50s Doris Day movies, with storytelling on the reverse and room to write a personal note to the addressee.